On a scorching June day in Buckeye, Arizona, thirteen-year-old Juan Miguel Quilantan discovers a body impaled on a saguaro. The authorities quickly link the crime to radical Islamists who are planning an attack on the four million citizens of the Phoenix area, using some undetermined weapon of mass destruction. Three people stand between the terrorists and a vulnerable metropolis: C. Ronald Cannon, a professor whose wife and children were murdered by ISIS; Laura Fatopoulos, a Muslim and FBI special agent who has dedicated her career to eradicating extremist factions; and boy-genius Juan Miguel, an illegal immigrant whose understanding of the electric grid exceeds that of most law enforcement professionals. Together, they travel to Austria and back—in only thirteen hours—to stop the terrorists from plunging the Valley of the Sun into chaos and anarchy. 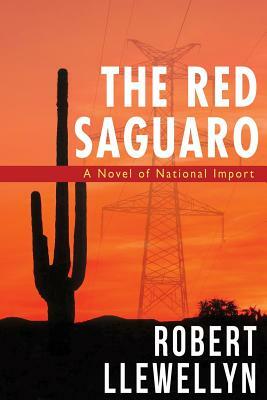 Learn what the terrorists already know and your role to help alleviate this real-life threat by reading The Red Saguaro: A Novel of National Import.